Innovative spectrometer hardware needs to be coupled with powerful and clearly structured software if users are to reap the full benefit of the possibilities offered by the hardware. 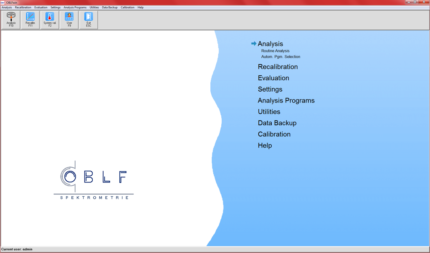 All OBLF systems currently feature our proprietary spectrometer software, OBLFwin, which runs on Windows ® (registered trademark of Microsoft Corp.). The fact that this menu-driven program can be both mouse- and keyboard-operated is a particularly useful feature when working in a production environment. Thanks to its simple parameter-defining functions, the software can be easily adapted to suit all customer-specific spectrometer tasks. These software modifications are undertaken by OBLF in Witten or are included in the commissioning process. Prior to analysis, the user therefore only needs to enter an ID and, if required, any additional specific sample data like material or furnace codes. The software can then safely be left to select the right analysis program. [Reprokontrolle und Auto-Mitteln] If required, any non-compliance with minimum material thresholds or material assignment can also be displayed on screen in addition to the completed analysis. In order to satisfy quality control requirements, the software also contains functions to define and monitor control samples. 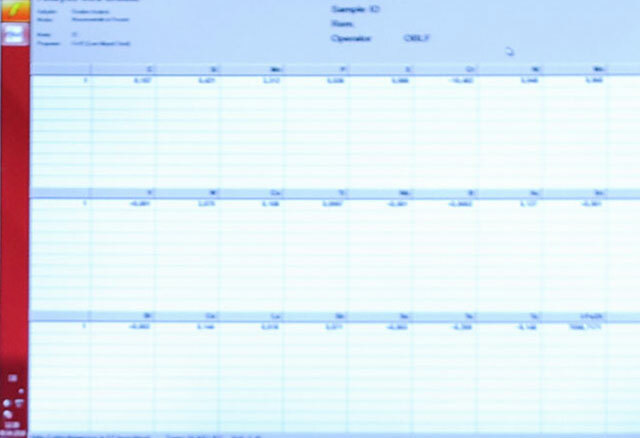 The software then issues an automatic user prompt to analyse a control sample when the time is right. However, test samples can also be analysed manually at any time. 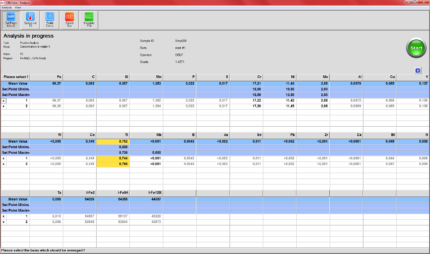 The results of control sample and production sample analyses are logged in a databank. These data can then be subjected to sample- and element-specific statistical analysis and displayed in various graphic modes. As a result, the correctness of the analytical process can be verified at any time. Our QSG 750 spectrometers, which feature GISS technology, provide additional menu points regarding the single spark analysis like the detection of bad samples and inclusions. For instance, a specially integrated formula editor makes short work of defining inclusion parameters. Each element channel has its own time window for time-resolved analyses. If the spectrometer is operated as part of an automated laboratory, e.g. in combination with a sample-preparation machine and a sample-handling robot, additional software functions ensure the spectrometer is smoothly integrated into the process as a whole. Interfaces to the programs of all common automation companies are available and are currently in successful use in numerous applications.